Noises dispose of an aesthetic quality being taken up and evaluated far stronger than pictures by the unconscious. In a world where the immense flood of images has made individuals nearly deaf against acoustic stimuli, field recordings offer an unbelievable source of inspiration and imagination. The sound recordings sharpen and sensitise the hearing, reveal apparently well-known, pique curiosity on the unknown and the interest in quite concrete sceneries, in our environment with its tonal variety. As never congruent copies of an independently existing reality they play with the individual adaptation and cognition ability. 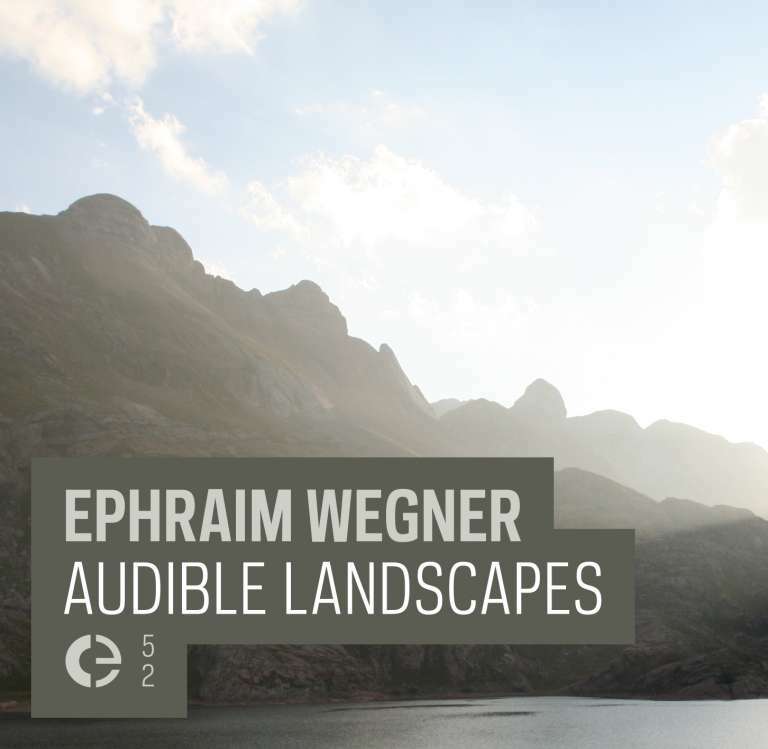 The field recordings taped between 2008 and 2009 at places like the Pyrenees, the Atlantic Sea or the Black Forest serve to Ephraim Wegner as basis for compositions of sound sceneries. Typical tones of certain regions, but also omnipresent everyday noises are processed and edited, put on top of each other, distorted up to unrecognisability and assembled again. Thus musical sound fields / collages and new acoustic rooms are generated which invite to reflexion and abstracting or just listening: The apparently weird, but strangely melodic bell ringing of the flock of sheep in the Pyrenees reveals its musical structure which testifies to astonishing harmony. Heavy rains, thunder storm rumbling, wild buzzing of insects and shrill chirping of crickets mutate to tonal arrangements which remind of minimal music or classical noise every now and then. Everyday occurrences become unusual hearing experiences, the pasture land idyll rumbling wild noise. Ephraim Wegner (*1980) studied audiovisual media at KHM in Cologne and is currently teaching generative art and audiovisual media at the university in Offenburg. As an artist he uses various computer languages (as Csound, Pure Data and Processing) to combine different forms of digital audio synthesis and generative art, "steering" towards multidisciplinary approaches and concepts. His performance practice ranges from improvisation (preferably using live input from instrumentalists) and notated works up to algorithmic compositions. Up to now there were numerous cooperations with other musicians, ensembles, festivals and institutions, among others ZKM (Karlsruhe), ars acustica (SWR2), Acht Brücken Festival (Cologne) and Donaueschinger Musiktage. In 2015 he received a scholarship from Kunststiftung Baden-Württemberg.